Death metal band from Germany. Sarx were found in 1998. In the Year 2000, after two years of practicing, songwriting and many live appearences, their first cd "...Of Natural Rage" was recorded and released in own direction. The record got some very good critics and was sold out in no time! In august 2000 guitarplayer Christian Sonneborn died in a motorcycle accident. (R.I.P. Sonni!) Two months later Daniel 'Kensington' Seifert (Sencirow) joined the band to replace Christian on the guitar. In the next three years Sarx played many live shows in entire germany and also in foreign countries. Beside that the band prepared to enter the studio again to record their second album and also reached the second place at the Siegen Rock Awards and the third place at the Rock It NRW Contest. Drummer Chaos had to leave the band in 2003. So the recording sessions had to be put off. Fernando Thielman (ex-Reincarnated, When Sorrow Ends) took his place behind the drums. 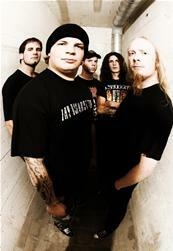 The band's latest album "Nail Through Head" was released in the summer of 2004. And it was hitting the scene like a bomb. It has been "Demo of the month" in music magazines like Rock Hard, Legacy and Heavy Oder Was!?. The release was followed by many concerts with bands like Dew Scented, Grave, Master, Aborted, Finntroll, Disillusion and many more. In january 2006 Sarx made it through the preliminary round of the Wacken Metal Battle Contest in Gütersloh and won the second place at the final round in Hamburg in early april. The final round of the Metal battle have also been the last show for singer Jost Kleinert. He left Sarx to put his whole energy into his second band Lay Down Rotten. Sascha Hoeck (ex Blood Harvest) became the new singer of Sarx. He had his first live show with the band only two weeks later at the Easter Metal Meetings in Siegen and was hearty welcomed by the crowd. 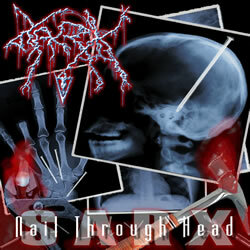 Sarx are now working on new neckbreaking songs.